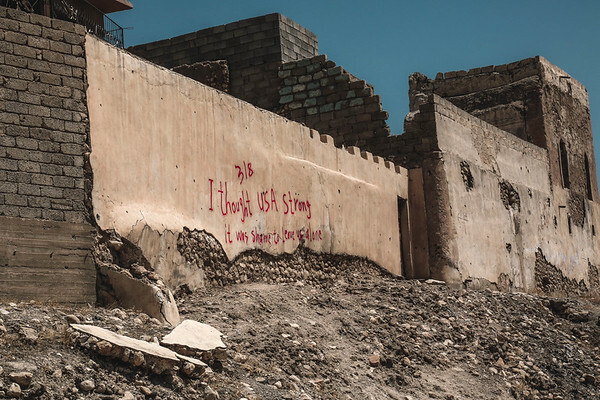 An inscription left by Yazidis on a wall in Sinjar: " 3/8 I thought USA strong, it was shame to leave us alone"
The date of 3 August 2014 is still written on some walls still standing. It is a way for a people who feel forgotten to remind the world. What has happened to them on this day, when IS group attacked their villages, will never be forgotten.